Jay Z & Beyonce allow photographers to capture them in an elevator Monday night. It appears Jay Z and Beyonce have come a long way from their infamous elevator ride in 2014 with Solange. In fact, on Monday night the power couple were spotted having fun with the incident while out to dinner in NYC. Hov & Beyonce were spotted at the Angelika Film Center & Cafe Monday night to celebrate Jay's 48th birthday, and on their way out they had to ride an elevator to the ground floor. With photographers waiting outside, Bey & Hov decided to have some fun with the photographers and invited them to “hurry up and come and get it,” referring to the perfect photo opportunity of them in the elevator. Hov even had their body guard step aside for the photographers, who then proceeded to take photos of the power couple for a couple seconds, before they jumped in their vehicle that was waiting for them on the street. This is just one of the many stories spawning from Hov’s birthday today. Not only did he get a decked out 4:44 cake from the Brooklyn Nets and a shout out from Lil Mama, but we [HNHH] also took a quick look into the life & rise of the near-billionaire mogul as well (see here). 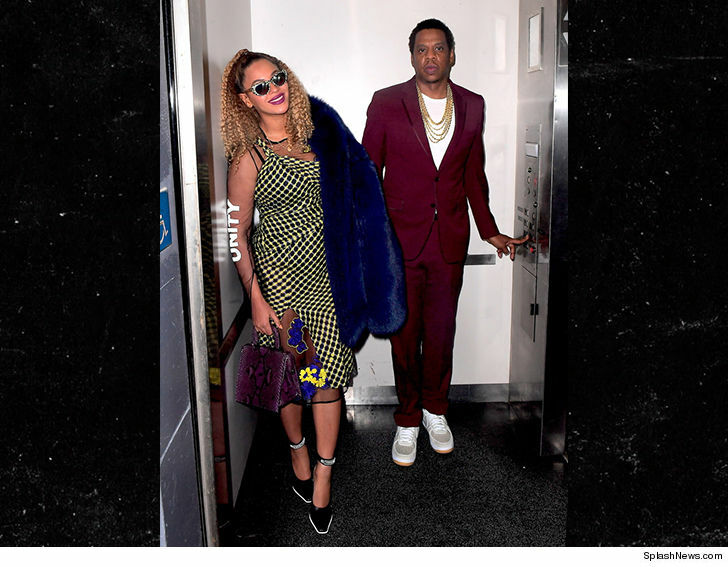 Check out Jay & Bey’s elevator photo op go down (below), and sound off in the comments.